The last two decades have seen high-income countries coping with an important reduction of resources, and with constantly increasing healthcare costs. There is no doubt that, given these duel pressures on healthcare finance, the sustainability of health services can only be guaranteed if health is considered as an investment instead of a cost. Therefore, it is increasingly necessary to plan with political savvy, taking into account health needs, scientific evidence, and organization of services. 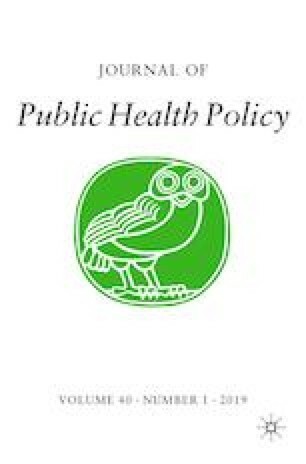 In short, critical objectives include implementation of strong policies to promote health to reduce morbidity, with particular attention to an organizational model to reduce inequalities and improve appropriateness and efficiency. The content of The Federation’s Pages is selected and edited by the WFPHA and not sent through by JPHP’s usual process of peer review. World Health Organization. A monthly summary of the epidemiological data on selected Vaccine-preventable diseases in the WHO European Region. In: WHO EpidData. 2019. http://www.euro.who.int/__data/assets/pdf_file/0004/394060/2019_01_Epi_Data_EN_Jan-Dec-2018.pdf?ua=1. Accessed 9 Feb 2019.